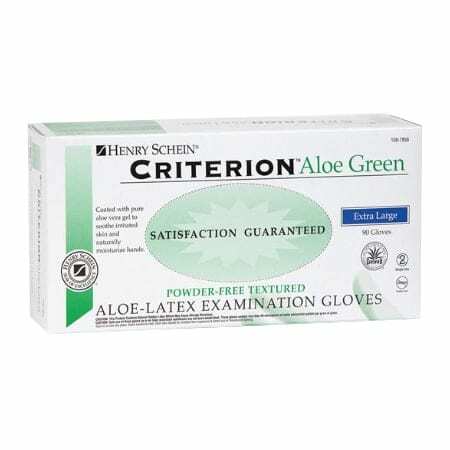 Criterion Aloe Green latex exam gloves have an interior surface that is coated with soothing aloe. 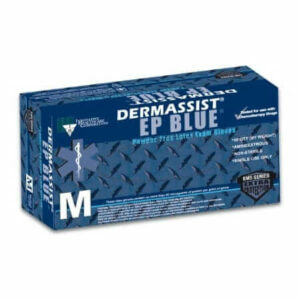 This reduces the irritation from dry skin that is often the result of constant glove changing and frequent hand washing. Each glove features a textured finish that helps to improve your grip in both wet and dry conditions. 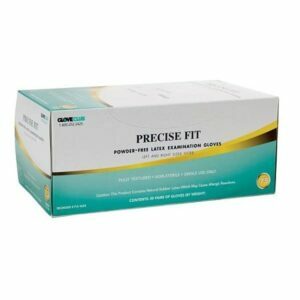 And they are also chlorinated, allowing users to easily don these gloves with wet or damp hands.